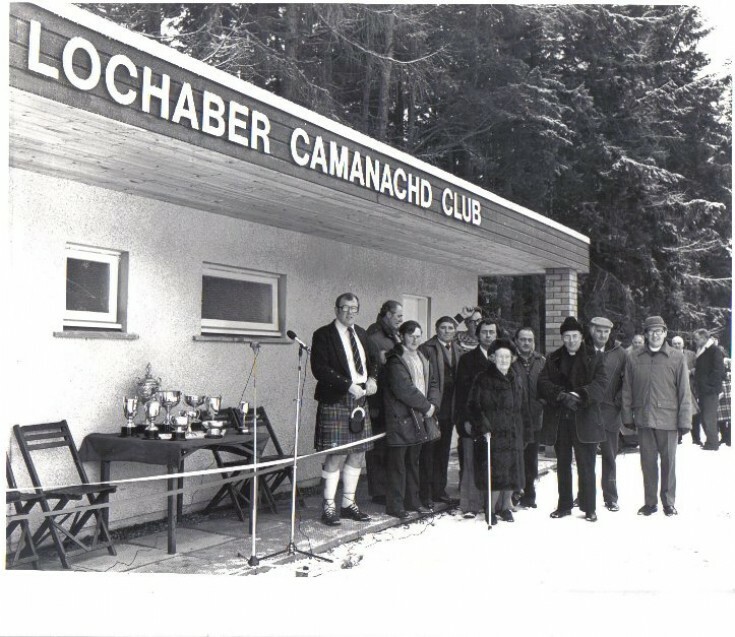 Opening of Lochaber Camanachd changing rooms/pavillion - someone is bound to know the year. I'm pretty sure you can see John Hawke and maybe Donald Kennedy in the background? The Minister is Rev Mr Henderson and the Lady in the front Mrs Hatje.